of the most interesting, important, and influential companies in the online video space! Nanocosmos has been contributing to the streaming media and online video space for many years. Since 2008 we support live video encoding and streaming on Windows, followed by MacOS, Browser based encoding and mobile live encoding and streaming for iOS and Android devices. Just recently we developed our iOS / Android RTMP player and WebRTC technology stack which allows very low latency end-to-end live video streaming. We make it very easy for developers, live content creators and businesses to build private label app’s and broadcast live content end-to-end. Please get in touch with us to let us help you enable your own live video streaming solution! Watch our new products and services overview to see how easy it is to create your own live video broadcast and player apps for professional or user generated live video content! 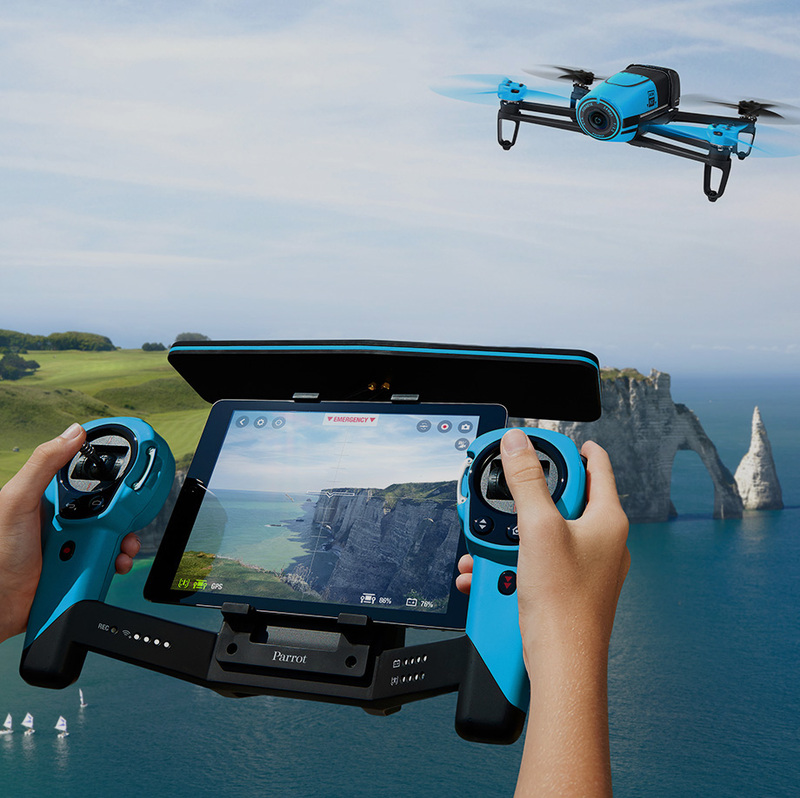 nanoStream was named as one of the best Mobile Video App or Solution in the 2015 Streaming Media Readers’ Choice Awards of Europe, and has also been nominated as one of Best Encoder Software Products worldwide. Please vote for us! The Streaming Media European Readers’ Choice Awards are the only awards in Streaming industry decided upon by the people who actually use these products and services, and so we represent what Streaming Media readers feel are the strongest in their class. 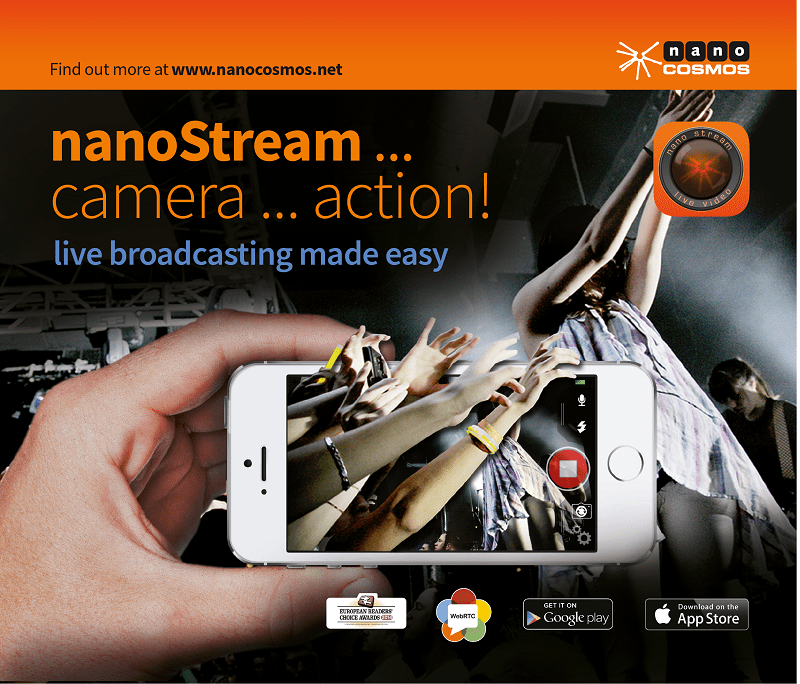 The nanoStream Mobile Apps and SDKs provide the easiest and fastest way to create custom professional live streaming applications, with our without user generated live video content. See our apps in action or contact us to find out more.